The LG 42LE5400 is the thinnest LED-backlighted TV selling for under $1,000. With the U.S. economic slump continuing, TV shoppers are more price conscious than ever. 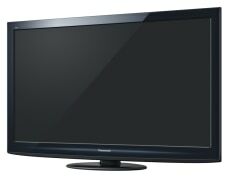 In fact, in the third quarter of 2010, a whopping 85 percent of all plasma TVs and 61 percent of LCD TVs 40-inch and larger sold at prices below $1,000, according to TV industry marketing research firm Quixel. 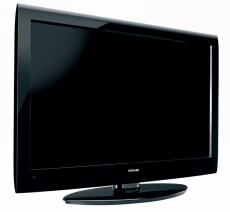 Fortunately for holiday shoppers, HDTV prices aren't going up. If anything, they're dropping further. 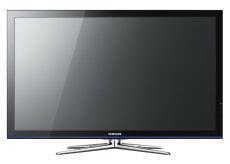 Prospective buyers get bigger screens, more features and better HDTV performance than ever before, and for less money. The G20 and G25 deliver top-notch picture quality and perfect motion resolution, with THX-certified picture presets for ideal settings without fiddling, and without pro calibration. The sets include Internet services and support Skype video (optional camera required). Simply put, it's the only 3-D TV for under $1,000. 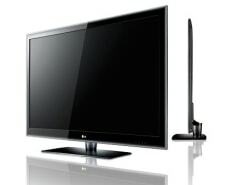 It has great plasma image quality, perfect for PlayStation 3 3-D gaming as well as watching the latest 3-D Blu-ray movies. Bonus Alert: Samsung just began a dealer promotion where they'll throw in two pairs of 3-D glasses, a $300 retail value. It's the biggest LCD bang for the buck, size-wise. And you're not sacrificing picture quality: Since it has 120 Hz refresh rate, it's great for sports, as well as movies and everyday viewing. With a thickness of 1.2 inches, this LG model is probably the thinnest TV under $1,000. Better yet, it has LED backlighting, for high efficiency, and strong brightness and contrast. It has good motion resolution, Internet-connected streaming service and wireless 1080p compatibility (accessory required). 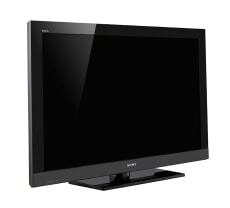 This highly rated Sony model performs well with both standard-definition and high-definition content. It provides good motion resolution, and, for homes with a lot of ambient light or shifting light conditions, it has a smart sensor to adjust the picture accordingly.